These delicious and easy poppy rustic poppy seed shortbread cookies, cook up in one pan and is then cut into wedges. Just press dough into pan, chill and bake. No rolling or cutting of the dough needed! I love the word rustic. It’s the word I use for all those cooking occasions when I do something the easy way, but want to frame it like it was by design – like having “rustic mashed potatoes” for dinner, because peeling potatoes is just one task too many on certain busy days. This easy poppy seed shortbread cookies recipe earns the name due to the super easy way they are made. 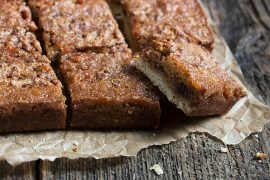 Simply mix up the dough, press into a baking pan, chill, bake and cut into wedges. No rolling or cookie cutters needed! 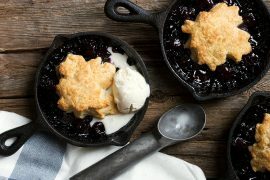 Even though these are rustic shortbread, we don’t want to compromise on taste, so as with all shortbread, bust out your best butter for these ones. You’ll reap the rewards later, as it will make all the difference in the finished product. A good, unsalted butter is best. If you have to use salted butter, reduce the added salt in the recipe a bit. These cookies can bake in either a 9-inch cake pan or a 9-inch springform/tart pan. I wouldn’t reduce it to an 8-inch (they’ll be too thick), but a 10-inch would probably work, if necessary. The cookies will obviously be thinner in a 10-inch, so cooking time will be reduced. Watch carefully if you go this route. You can bake these cookies in a 9-inch cake pan, a 9-inch springform or tart pan. If you don't have any of those, move up to a 10-inch (8-inch will make the cookies too thick). If baked in a 10-inch pan, cookies will be thinner, so cooking time will be less. Watch closely! 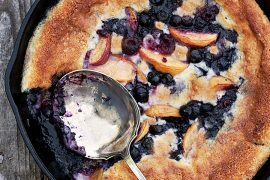 Prepare a 9-inch baking pan by greasing lightly with butter and lining the bottom with a round of parchment paper. (*Note: if using a pan without a removable bottom, I find it handy to leave a little 2-inch "tab" on the edge of the round of parchment that's going on the bottom of the pan, to make removal from the pan even easier!). Set aside. In a separate medium bowl, combine the flour, poppy seeds, and salt. Add the dry ingredients to the butter mixture and mix until mixture is moistened and comes together into a rough dough. 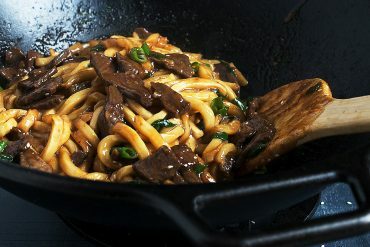 Press dough evenly into prepared pan, then poke the dough with a fork 8-10 times, evenly around the dough. Cover with plastic wrap and place in the refrigerator for at least 2 hours to chill. Preheat oven to 300° F. Remove pan from refrigerator and place directly into pre-heated oven. Bake until set and firm, about 40 minutes. (*Note: shortbread should look dry on top. Don't judge by the edges, as they will begin to brown quite early and don't necessarily reflect the done-ness of the rest of the pan. Look for the top of the shortbread to begin to turn ever-so-slightly golden). Remove from oven and leaving shortbread in pan and using a sharp knife, immediately cut shortbread in to 12 wedges. Leave to cool completely in the pan, then remove shortbread from pan. *Note: It can be a little tricky to know when the shortbread is done the first time, so if you guessed wrong and your shortbread is undercooked (ie: doesn't have that lovely "sandy" shortbread texture), don't despair. Simply place the wedges on a baking sheet, pop into a 300° F. oven and bake for an additional few minutes to dry them out (8-10 minutes or so, but watch them closely. If they start to brown, pull them out). I saw these earlier on IG and couldn’t wait to come by, then I got side tracked (life, why you gotta do that?) 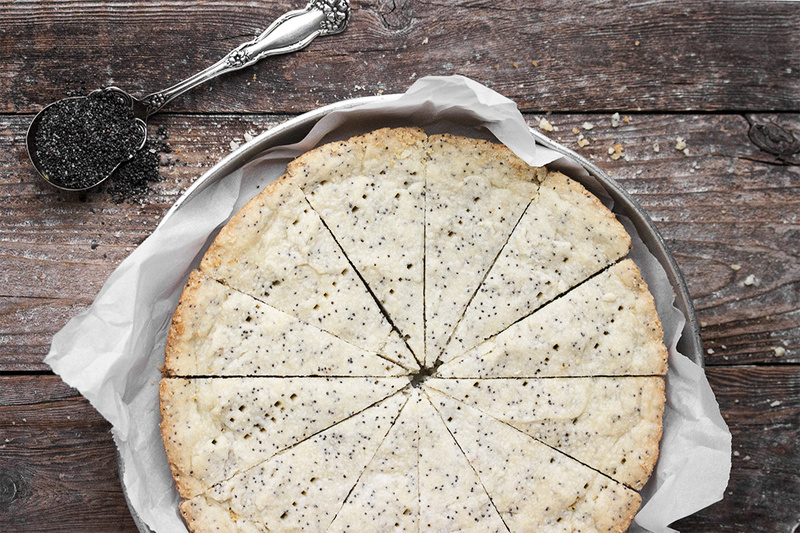 ;) These Poppy Seed Shortbread cookies look amazing, girlfriend! I love the word rustic too!! Simply insert where you took the lazy route and it sounds tres chic! 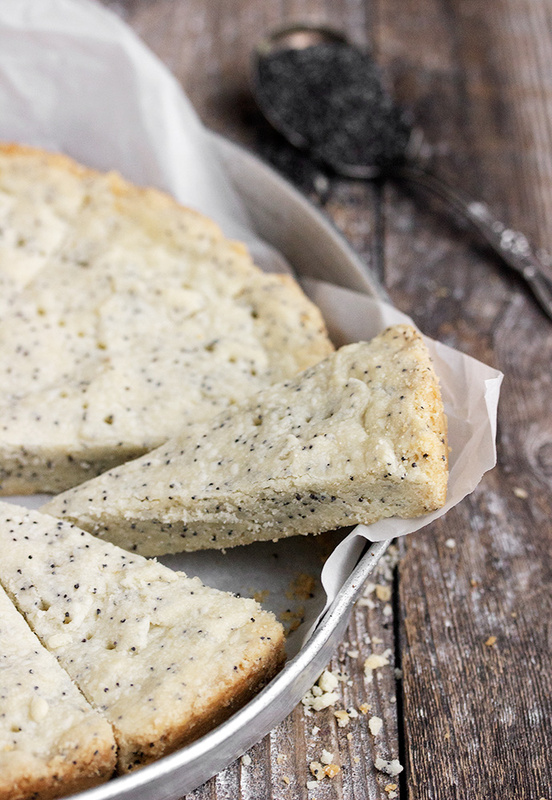 Anyways, shortbread is a favorite of mine, but I would have never thought to add poppy seeds! Love it! Pinned! Cheers, my dear!! Thanks so much, Cheyanne :) I think poppy seed might just be my favourite shortbread addition. Love the combination! 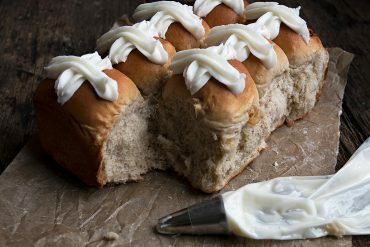 These photos and this recipe are both stunning! Shortbread is my all time favorite cookie Jennifer. 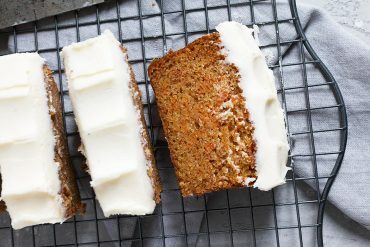 This poppy seed version sounds wonderful. Sounds so quick and easy too. I’m in for sure! Have a wonderful holiday with your family! I love rustic too, Jennifer! Anything that could be made in a hurry is a huge winner in my books! 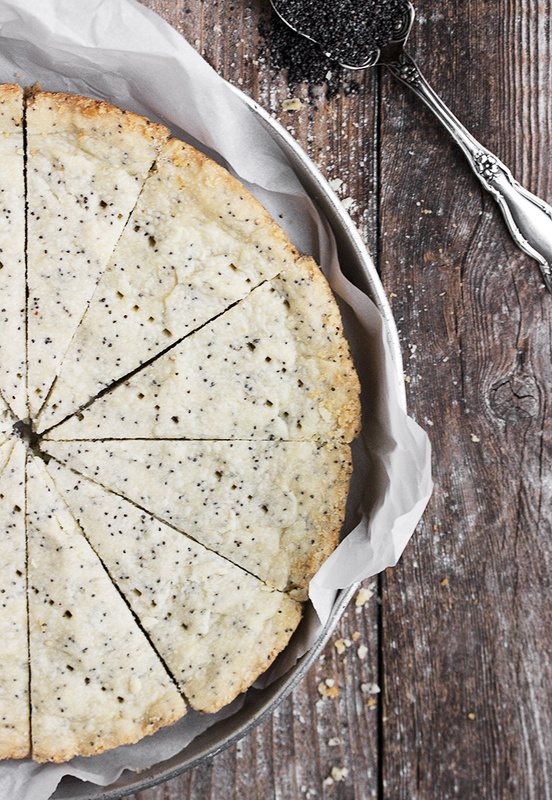 Lovely shortbread and poppyseeds are such a welcome addition! Thanks Julia. Merry Christmas to you and your family! 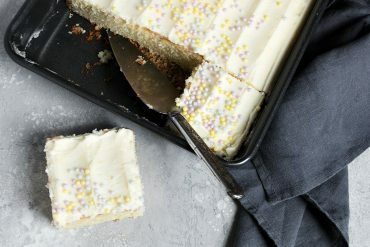 I’m a shortbread fanatic and I’m here to say these sound and look amazing. 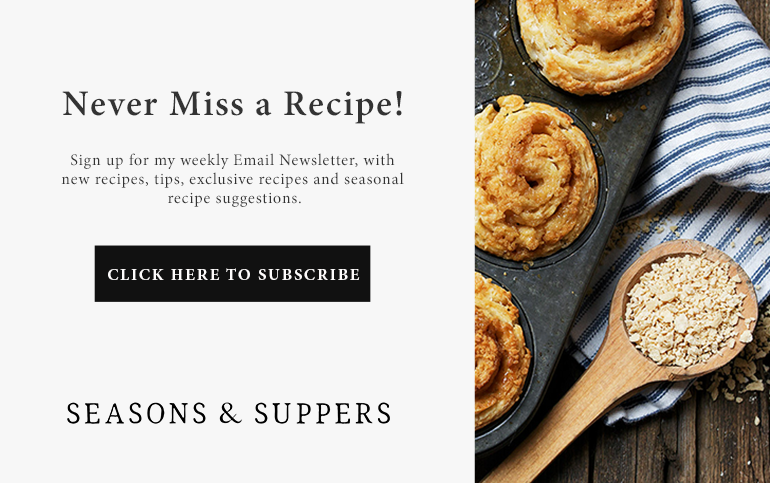 I love the thought of calling easy recipes “rustic”! Thanks Jennifer! 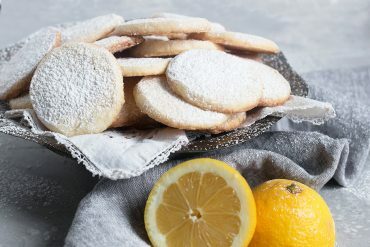 I love shortbread, these look so buttery delicious! Wow, this came out really nice, I wish my poppy seed layout was this nice. Thanks Tricia! We’ve just done a bit of travelling, but now the relaxing holiday season starts. Looking forward to it :) Merry Christmas to you and your family, as well! 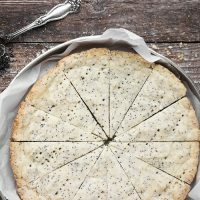 I make almond poppy seed shortbread every year, and I just adore poppy seeds, they add such an incredible crunch and interest to so many recipes. Your photos are gorgeous, and now all I want to do is go make shortbread….happy holidays Jennifer! Thanks so much, Sue :) Happy holidays to you and your family, as well!